Do you like gummy bears? I like gummy bears. 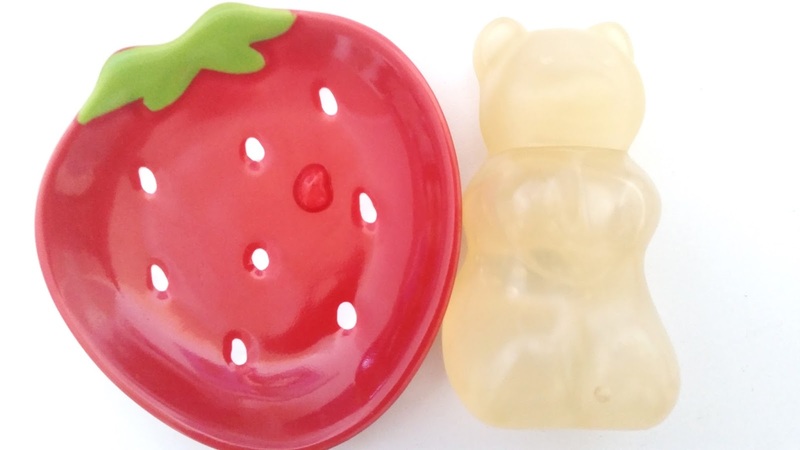 So when Skinfood came out with their Gummy Bear Jelly Hand collection, I was all over them. The Gummy Bear Jelly Hand line comes with 4 types. The Jelly Hand Gel, which is a gel textured hand moisturizer. The Jelly Hand Cream which is well, a hand cream. The Jelly Hand Butter, which is like a hand cream but it's richer and has a thicker texture. Lastly, the Jelly Clean Gel which is what I'm reviewing today. The Jelly Hand Gel comes in 3 scents which are Kiwi, Raspberry, and Pineapple. The Jelly Hand Cream comes in 2 scents which are Orange and Grape. The Jelly Hand Butter comes in 2 scents as well, which are Dark Chocolate and Cherry Chocolate. Finally, the Jelly Clean Gel only comes in one scent and it's Apple. I wanted to purchase the entire Gummy Bear Jelly Hand collection but talked myself out of it in the end. Instead, I bought a couple of them to try. This way I can test out the textures and formulas to see which ones I like better. Anyways, let's get to know the Skinfood Gummy Bear Jelly Clean Gel in Apple. 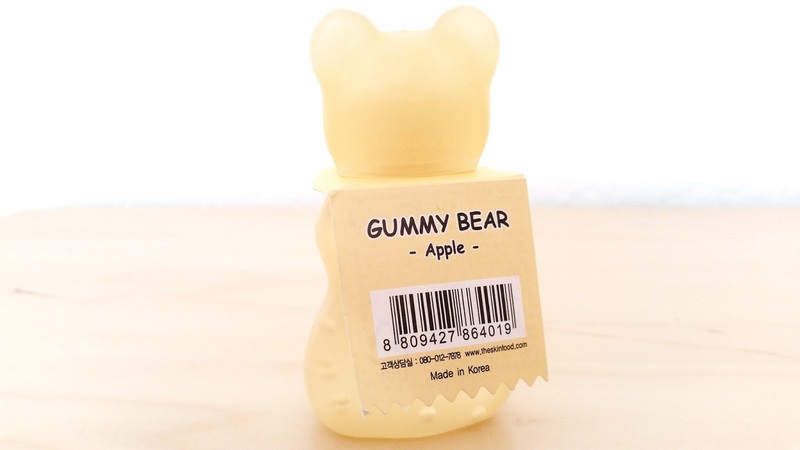 Product Description: An adorably packaged hand sanitizer in the shape of a gummy bear. 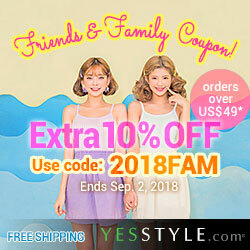 It is formulated with apple extracts, lemon extracts, papaya extracts, and more to keep the hands clean and refreshed. To Use: Take a good amount and apply it all over the hands. Make sure the amount you apply is enough to cover both hands and get them wet. Rub your hands together and allow them to dry. Ingredients: Ethanol, purified water, apple extract ( 1.025% ) , Butylene Glycol, Carbomer , amino methyl propanol , lemon extract, orange extract , papaya fruit extract , gelatin , fragrance. 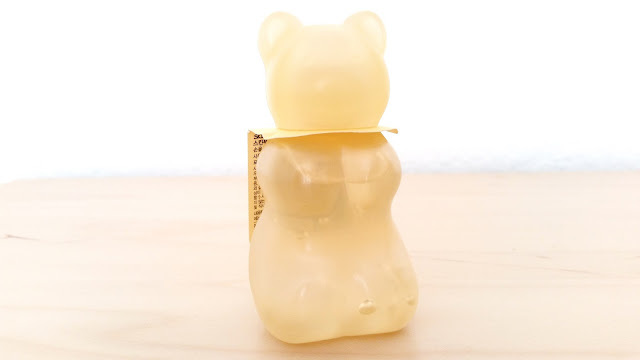 Packaging: You have to admit, these Gummy Bear Jelly Hand products really do resemble gummy bears. The packaging is simple yet adorable and the color choices pair nicely as well. 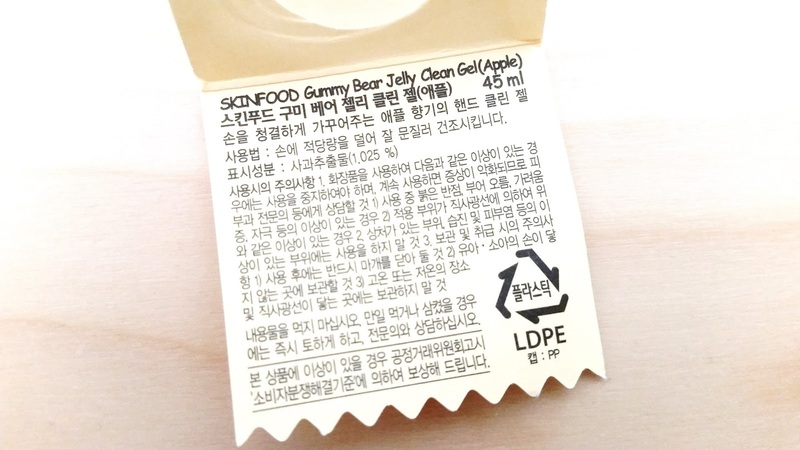 The little paper tag that comes with the Gummy Bear Hand products contains information regarding the product. Although, most of that information is in Korean. The Clean Gel is stored in a squeeze tube with a small opening (see below). You can squeeze out the right amount of product with ease. The manufacturing and expiration dates can be found at the bottom of the product. 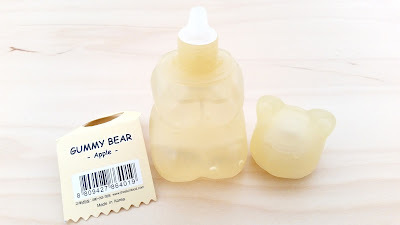 Scent: This Jelly Clean Gel does have a faint apple scent, however, the scent of alcohol dominates. I think I would have liked it if it smelled more like apples and less like alcohol. Color: The gel is clear and colorless. Texture: The texture of this Clean Gel is similar to most hand sanitizers. Once applied, it turns watery and dries easily. My Thoughts: A+ for the packaging but D- for the scent. I was hopping for a strong-ish apple scent to cover the alcohol scent. However, it really just smell like alcohol with the faintest apple scent at the end. I'm pretty disappointed to be honest. The packaging though kind of makes up for it. It's adorable and the squeeze container makes it easy to use. I kind of wish Skinfood shared the percentage of alcohol contained in this Clean Gel. Generally, hand sanitizers work best if the alcohol concentration is between 60% and 95%. Anything less would not work. There was no information on the paper tag regarding the percentage of alcohol contained in the Clean Gel and I was unable to find it anywhere else. I have emailed Skinfood and hopefully someone will get back to me about it. Also, it's good to note that when you apply hand sanitizers in general, you want to apply enough product so both hands become completely wet. You then rub both hands together to dry them. According to the CDC (Center for Disease Control and Prevention), if the hands become dry within 10 to 15 seconds, you didn't use enough hand sanitizers. 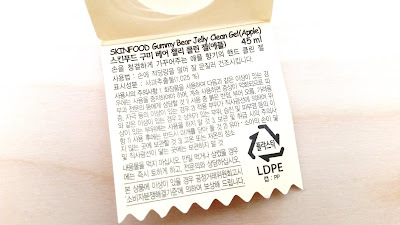 I rarely use this Gummy Bear Jelly Clean Gel because washing your hands with soap and water is still the best way to clean them. However, when I am on the go and soap + water is not available then hand sanitizers becomes the next best thing. Final Thoughts: The Skinfood Gummy Bear Jelly Clean Gel is a cutely packaged product but it leaves me with one important question. What is the percentage of alcohol contained in the product? The answer to this question would effect the rating greatly and I feel like the current rating is incomplete because I don't have this information. I did email Skinfood, so hopefully someone will get back to me with this information. Other than that, I'm not a big fan of the scent. The apple scent is hardly there despite the fact that fragrance is added to the product. I don't regret purchasing this though because the cute package was what got me to buy it in the first place. Will I repurchase this in the future? Eh, that depends. If I learn of the percentage of alcohol contained and it's greater than 60% than maybe I will buy it again. Cause you know, it's cute. However, if it's under 60%, I probably won't buy it again. Do I think it's worth a try? That depends on your preference. If you like gummy bears and want a hand sanitizer, then give it a shot!